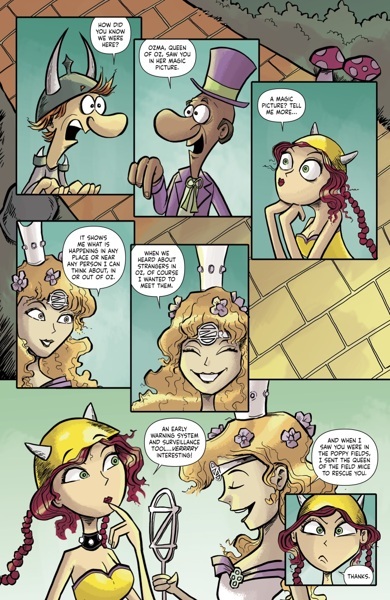 Daily Illuminator: Munchkin Comics #19 In Stores Now! 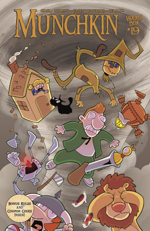 July 27, 2016: Munchkin Comics #19 In Stores Now! The land of Munchkin Oz has opened its gates yet again to Spyke and Flower. At this point, it's the city's fault – they should have learned their lesson the first time around. 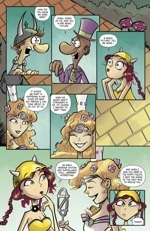 But it's a good thing for us, since we get two Oz-some stories in issue #19 of Munchkin comics from BOOM! Studios. 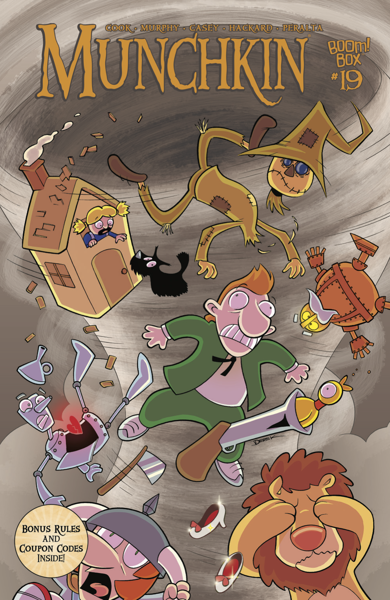 In the first tale, "Shock and Oz," Len Peralta (Star Munchkin Guest Artist Edition, Munchkin Apocalypse Guest Artist Edition) illustrates and Andrew Hackard writes. The dynamic duo meets the welcome wagon from Oz . . . maybe they shouldn't lead with that whole "we want your loot" angle. Katie Cook (Munchkin Puppies, Munchkin Cthulhu Guest Artist Edition) sits in the author's chair with Phil Murphy on illustrations for "Second Time Around: Spyke and Flower Return to Oz." It's a case of déjà vu as the titular anti-heroes are literally dropped onto the Yellow Brick Road. But who is the real bad guy here? (Probably Spyke and Flower.) Quick, blatant crosspromotion: Katie Cook's Munchkin Oz Guest Artist Edition can now be preordered at Amazon! Munchkin #19 is available today at your friendly local comic shop. No wizard required!